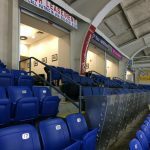 In the heart of downtown Johnstown, PA, 1ST SUMMIT ARENA @ Cambria County War Memorial Arena has served as an entertainment hub since it’s establishment in 1950. With a rich history of hockey as the home to the Johnstown Jets, the notorious film Slap Shot, the Johnstown Chiefs, and, now, the Johnstown Tomahawks, the War Memorial received the honor of Hockeyville, USA in 2015. As newly named Hockeyville, the arena has received much recognition and many upgrades, making NOW the time to invest! 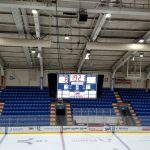 Outside of serving as home to the Johnstown Tomahawks of the NAHL, 1ST SUMMIT ARENA @ Cambria County War Memorial Arena is also a presenter of high profile concerts, family shows, sports entertainment, trade shows, local graduations, and so much more! 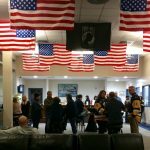 With a loyal fan base that expands their support beyond our hockey roots to every event at the arena, you will never miss an opportunity to reach them as our business partner. Whether you’re a locally owned business or a nationally owned corporation, we have business opportunities that Cambria County hasn’t offered for 60 years.